Most know (by now you should anyways) that I’m a geek and all excited about new gadgets – CES and IFA are two of my most favourite shows. Gadgets everywhere. This year’s IFA has just kicked off this week in Berlin and to say that there’s a few toys that’s caught my attention, is probably an understatement. Since they threw about 80 new devices out there, it’d be too much for me to cover (some also isn’t that important to me) – but the ones i’m the most excited about is here..
..yes..i know, it’s a ‘droid watch – but damn, it’s one fine looking specimen. 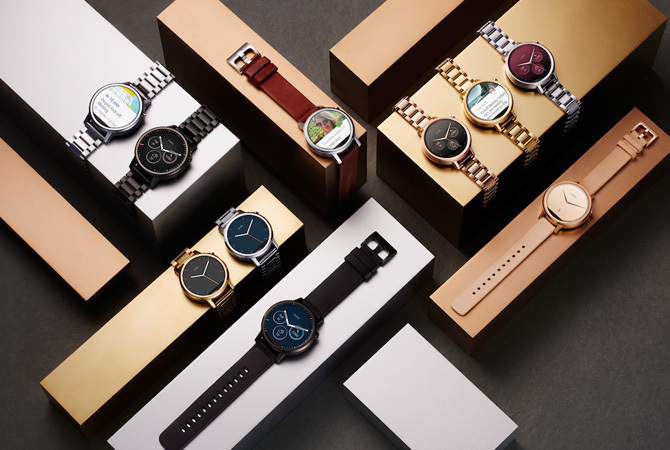 I’m (secretly) a watch whore..s’cuse me..enthusiast, and the wearable market is flooding with smart watches (and no, i do not count the iWatch as being smart), but they tend to look like “packaging” rather than something you want to wear. ok – some of the 2nd gen designs are a little bit “blingy” for my taste, but the matte black steel link is just awesome. Oh, and lets not forget it looks a hell of a lot better than both Galaxy Wear and the Apple iWatch. This one is on the top of my list of toys for the next year. With the Y700/900 Lenovo steps right into the high-end gaming market and mentioned during the reveal was tool-free install, from end-to-end, 32Gb ram and Dual-GPU, not to forget Skylake CPU. I actually didn’t think Lenovo would make this move to be honest – yes, we’ve heard them ask for “What do you want in a gaming rig?” on more than one occasion, but the gaming industry is a numbers game. Bang-for-buck is the mainstay for gamers these days. The true enthusiast will of course shell out their second kidney for the coolest tricked out rig on the market, but they’re not the mainstream users that most manufacturers target from the bat. No, that was what we saw with the entry level Y50/70 gaming laptops. They’re right in the sweet spot on price and capability. Yes, they looked good and the addition of the 4K screen was something totally unexpected, but it was a numbers game predominantly – again, bang-for-buck. For gaming i’m usually by far a desktop and console type of guy; have owned both dedicated gaming laptops before and the experience (especially with the Dell XPS 1710) left me with a bad, bad, bad taste in my mouth. The Alienware later owned took the edge of the bitter experience – but, that was also some seriously expensive kit. Would take something seriously impressive to make me fork that kind of dough out for a gaming laptop again. Lenovo doesn’t sit still of course – the Y700/900 shows that and I for one can’t wait to see what the guts will look like when more is revealed. That leads me to the next toy..
As just implied, the gaming laptops are mostly a gimmick for me – ok, owning one of the Y-series laptops would be awesome but not for the mobility aspects of it. They come with some serious guts that I can appreciate and I don’t currently have a desktop. Lastly, one device that I think is epic. I owned (guess you can say “we” own it now) a Yoga Tab 10 HD (the little cousin to this one), which is a 10″ Android tablet. Still, I’m not a fan of Android, but this little device is here to stay. It’s probably one of the devices that gets the most usage around the house and that’s because of the awesome battery life this tablet has – 18hrs. So, the YT3P10 is the same as the Yoga Tab 2 Pro and maintains the nice build quality – and of course it has a projector in-built. Yeah, the Yoga Tab 2 Pro also had a projector in-built, but rumour has it that this one is even better (projects a 70″ display onto any wall). Here’s the total list of devices that got revealed..